Tim Miller (Kyle) has worked as an actor, screenwriter, director and theater producer in New York, Chicago and Los Angeles. Most recent work onscreen as an actor was in the New York indie film The Immaculate Misconception. Most recent onstage in Chicago was in Days To Come with The Artistic Home and off-Broadway in Testimony at the Ohio Theater with Israeli troupe LeeSaar. Between 1992 and 1995, Tim was a regular onstage at the former ImprovOlympic, now I.O. Alongside John Mossman, Tim has collaborated on three short films, Draggage, Jell-ohh Lady and Spaceman Dan’s 243rd Flight. For the stage, Tim received an acclaimed 2002 production of his one-act play 8-Point, directed by John Mossman at The Artistic Home. He is a graduate of Purdue University and resides with his wife and son in Chicago. Kristen Anderson (Simone) holds a BFA in Acting from Columbia College Chicago where she starred in such play productions as Curse of the Starving Class, The Rose Tattoo, andThe Violet Hour. On film, she appeared in the feature Beneath the Horizon (Kilo Productions). Kristin was last seen on the stage in The Artistic Home's production of Skin of Our Teeth. John Gray (Angus) has performed extensively at theaters in the US and Romania. John's domestic credits include appearances at Steppenwolf Theater, Red Orchid, Mary Arrchie, Noble Fool, Shattered Globe and Famous Door Theaters. Helen Manasses (Tiny) Helen Manasses is an actor, writer and musician in Chicago. Notable performances are Lady Macbeth, with Minneapolis’ Candid Theatre and the Anima of Richard III with Theo Ubique. She is a graduate of the University of IL at Chicago. 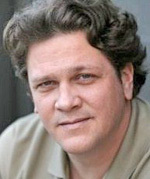 Josh Gibbons (Vince) has performed in a variety of plays, television shows, and independent films. Credits include "The Nostradamus Effect", "Prison Break", "Welcome Back to the Barrio", and "I'm a Female...Seeking a Male" in which he played six different roles. Kathy Scambiatterra (Gerry) has performed at numerous theaters, including Chicago Shakespeare Theater, the Goodman, The Artistic Home, Center Theater, Wisdom Bridge, Pegasus Players, and in Los Angeles at the Pacific Resident Theater Ensemble. She has received numerous Jeff Nominations as an actress, and has appeared in the short films The Appointment, Draggage. Ms. Scambiatterra is a graduate of the University of Illinois and is the Artistic Director of The Artistic Home where she also heads the on-going actor training program. Joan McGrath (Simone's Aunt) has appeared at the Metropolis Performing Arts Center, The Artistic Home, TimeLine Theatre, People*s Theatre, Vitalist Productions, Bailiwick Repertory Theatre, Merely Players), Northminster Players), and Open Eye Productions, among others. After earning a B.S. in Theatre from Northwestern University, Joan spent two decades on Chicago radio and TV (“The Joan McGrath Show,” WGN Radio; “Gamut,” WMAQ-TV; “Dimensions,” WSNS-TV; Illinois State Lottery). 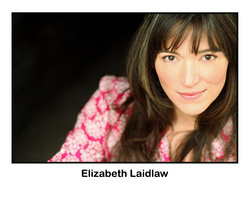 Elizabeth Laidlaw (Claudia) has worked as an actor, producer and director in Chicago and nationally for 17 years. She has appeared at Writer's Theatre, Chicago Dramatists, Court Theatre, Chicago Shakespeare Theatre, The Next, About Face, Steppenwolf, The Goodman, Strawdog Theatre and many others. Her recent film credits include the award-winning independent features, Dimension and Eastern College. She founded Lakeside Shakespeare Theatre in 2003 and serves as artistic director. Jim Keip (Paul) Born and raised in rural south/central Wisconsin. A self employed farrier for the last 11 years. A painter, wood carver, leather worker, and a graduate of UW Madison. Jim worked on John Mossman's previous film "Spaceman Dan's 243rd Flight" and lives near Cross Plains WI with his cat Susie.